The Royal Navy’s Air Stations are among the busiest airfields in the UK. They are home to the Fleet Air Arm front-line and training teams who use many different aircraft and helicopters to complete vital training operations. In close proximity to the Royal Navy Air Stations on the South West coast of the UK is Wembury Point, a small MOD site which is home to two radars – a Primary Surveillance Radar (PSR) and a Secondary Surveillance Radar (SSR). These radars are pertinent to the safety and security of training operations within the area. Currently the two radars are co-mounted on one tower. Due to technological advancement and new regulations Aquila is proposing to build a second tower to host a brand new SSR, this will include a small technical cabin at the foot of the tower to house radar equipment. The existing tower and PSR will remain in its current location. Wembury Point is of significant importance for providing critical air navigation aid services for Royal Navy training exercises and operations due to the site elevation and uninterrupted views. Wembury Point provides the best opportunity for continuous radar coverage. 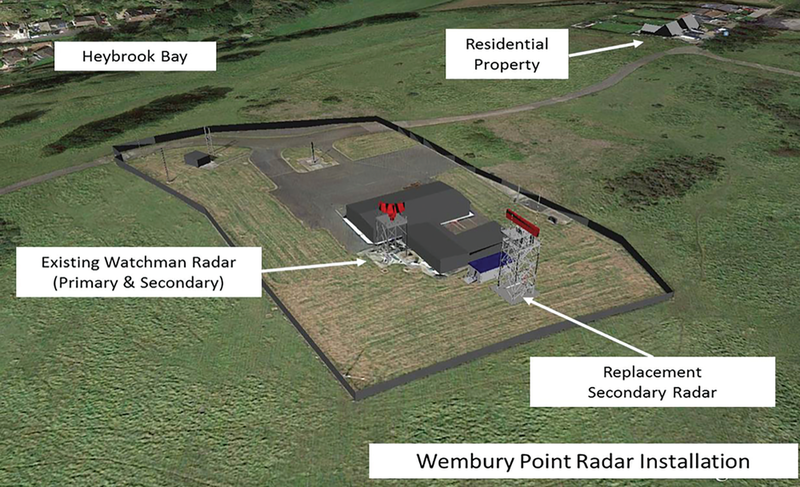 This has been a key factor in the selection of Wembury Point as one of the retained radar sites on the South West coast. Aquila recently hosted a Public Information Day about the proposed changes at Wembury Point. This was a great opportunity for the Aquila Project team – Eddie Trott, Aquila South West Programme Manager and Barrie Rickard, Aquila Transition Manager, to meet with local residents and answer any questions they raised about the proposal at Wembury Point. Aquila produced an information leaflet which give a bit more information about the proposal. Click here to view the leaflet. Aquila anticipates submitting the planning application in May 2019 and to start the building work towards the end of 2019. Aquila is following cyber secure best practice. Aquila ATMS continues to demonstrate its ability to protect their customers data by securing the Cyber Essentials Plus certification. Aquila recognises that Cyber Security is one of its biggest threats. By following the Cyber Essentials guidance, and now achieving a Cyber Essentials Plus certification through an independent review of their systems and processes, their shareholders and customer are afforded enhanced confidence that their information is secure. 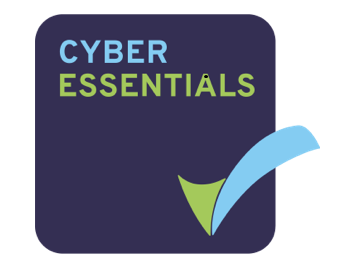 Cyber Essentials is a Government endorsed scheme that helps protect organisations from cyber threats. There are two levels of certification – Cyber Essentials and Cyber Essentials Plus, Aquila has secured both. Aquila Tough Mudder Team, from left to right, Kelvin Richardson, Nicola Denbigh, Emily Makepeace, Chris Brearley, David Hawken, Matt Woods and Jonathon Dudley. Aquila Air Traffic Management Services selected Hounds for Heroes as their charity of the year 2018. In September separate teams from the business took on two very tough challenges to raise money for the national charity. The first challenge saw our fearless HR Manager, Kate Todd and Government Funded Assets (GFA) Manager, Wil Paterson hurl themselves off a Welsh Mountain and zip through the Welsh valleys raising more than £800. Although physical training was not required for this challenge, mental strength was a must. Tough Mudder was the second challenge where 7 fearless “Athletes”, including the Service Delivery Director, David Hawken, squelch their way through 10 miles of mud and 24 obstacles. It was not for the faint hearted or for the unfit. The team worked together to complete the course which involved getting them all over 9-foot fences and a 20-foot drop into muddy water, to name a few. There were many water-based obstacles which left the team exhausted and cold as they reach the finish line. Aquila – Air Traffic Management Services (ATMS) has been awarded the Armed Forces Covenant Employer Recognition Scheme (ERS) Silver Award. This is great news for the company which was awarded the Bronze level Award shortly after signing up to the Armed Forces Covenant in October 2017. The Corporate Covenant is a UK Government initiative which encourages UK businesses to employ and support ex- service and serving men and women. The Review Body responsible for making the award recognised that Aquila, while still a very young company, had already shown an outstanding commitment to its Reservists and Veterans alike. Mike Stoller, CEO of Aquila ATMS said “I am delighted that Aquila has been able to reach Employer Recognition Scheme Silver Award Status building on our bronze award last year. As a company we are very proud to be able to support to those who are serving, or have served, in the military and this will continue to be a very important part of what we are about as an organisation." Aquila Air Traffic Management Systems (ATMS) has announced that they have secured the Cyber Essentials Certification. Aquila ATMS has made a significant step in its Cyber Security campaign by securing a pass in the Cyber Essentials Certification. This puts the company in an excellent position to achieve the Cyber Essentials Plus certification and publicly demonstrates our commitment towards cyber security. The Cyber Essentials scheme provides Aquila ATMS with guidance and support to protect our most sensitive data stored on all our devices which connect to the internet. This is vital to keep our own and customer’s data safe and secure. Aquila Air Traffic Management Services has selected Hounds for Heroes as their charity of the year for 2018. The decision to support the charity follows a visit to the Aquila team by Allen Parton, Hounds for Heroes Chairperson and Founder. Allen, who was supported on his visit by Julian Forth, a Trustee at Hounds for Heroes and, EJ and Rookie, two of the specially trained Hounds for Heroes dogs, inspired the Aquila team so much that they have now developed an events calendar to raise as much money as possible for the local charity. Armed with posters, leaflets, collecting tins and two dogs, Allen was welcomed by more than 40 Aquila staff when he visited their offices in Whiteley, Nr Fareham. After suffering a traumatic head injury in 1991, whilst serving in the British Navy during the tail end of operation desert storm, Allen was hospitalised for 5 years. Allen’s injuries were severe. So much so that during his recovery he lost his short -term memory and had no recollection of his wife, Sandra, or his children. Thankfully, and purely by chance, things were to take a turn for the better when, after years of rehabilitation, Allen met an assistant dog named Endal. Not only did Endal complete everyday tasks for Allen, the highly trained dog also improved Allen’s mental health and really brought him out of himself, giving him a new focus and sense of purpose. Based on his own experience, Allen quickly understood the benefits a dog like Endal could bring to others with severe injuries and set about ensuring other wounded service men and women could have the same opportunity, and hence Hounds for Heroes was born. Training dogs like Endal is expensive but the team at Aquila are determined to help raise as much money as they can to make sure there are more Hounds for Heroes to provide much needed support our incredible military men and women. Since Allen’s visit a fundraising events calendar has been developed where all staff can get involved in events such as quiz nights, skittles evening, tough mudder run and a military band event. For more information about Hounds for Heroes, click here. For the last 18 months, Aquila has been supporting Blesma as their Charity of the Year. In those 18 months staff based at the firm have ran miles, cycled the length of the UK, baked fabulous cakes, dressed down, jumped out of planes and ran a few quiz nights. Aquila representatives Kate Todd, HR Consultant, and Nicola Denbigh, Communications Specialist, presented the cheque of just over £8700 to Ian Waller, Operations Director at Blesma. David Wilson, our CEO, signs the Armed Forces Covenant with Air Commodore Ian Gale as the witness. Aquila has announced that it has signed up to the Armed Forces Corporate Covenant, a government-led, initiative designed to ensure that those who have served in the armed forces get the same access to services and opportunities as the civilian community. The Covenant - which sets out a framework for the relationship between the nation, the government and the Armed Forces - was jointly signed at RAF High Wycombe, the headquarters of the Royal Air Force, by Air Commodore Ian 'Windy' Gale, Senior Responsible Owner - Command Control, Intelligence, Surveillance, Reconnaissance Programmes at Royal Air Force, and David Wilson, Chief Executive Officer at Aquila -ATMS. 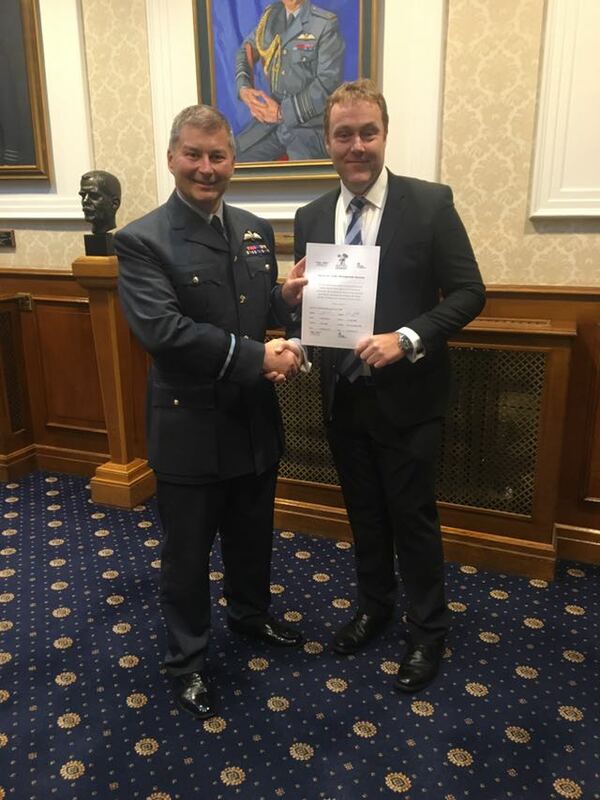 On signing the Covenant, Air Commodore Gale said "On behalf of the military, I am really pleased to be signing the Armed Forces Covenant with Aquila. Our organisations are already working closely together on Project Marshall a programme that will deliver the next generation of military air traffic management capability. Project Marshall in many ways symbolises what this Covenant is all about as it is a programme where regular, reservist, former members, and family members of the Armed Forces work alongside their civilian counterparts. This commitment by Aquila to the Covenant will be fully appreciated by all our armed forces community." David Wilson, Chief Executive at Aquila commented, "We are delighted to be able to sign up to the Armed Forces Covenant and join other firms across Britain committed to ensuring those who serve or have served our country are better supported. We are proud to have had several veterans and reservists on our team at Aquila each of whom have brought to our organisation a wide variety of transferrable skills and qualities they have developed through their military careers." Three employees from Aquila-ATMS have raised more than £2000 for Blesma, the charity for Limbless veterans, after taking part in their first ever marathon. Colleagues Nicki Denbigh, Dan Green and David Johnson – who are all based at Aquila’s head office in Whiteley, Fareham - completed the gruelling 26.2-mile Brighton Marathon course on April 9, one of the hottest April days on record - a task made even more challenging by the fact that it was the first time any of the team had completed a full marathon. The three runners were inspired to take part in the race after learning about the incredible work that Blesma, Aquila’s charity of the year, does for Limbless veterans. The colleagues put in hours of training in the weeks leading up to the race, gradually building up the distance they could run. It was training that all paid off as they were eventually able to complete the challenging course in under 5 hours. Nicki, Dan and David helped each other through the race, giving each other encouragement, sharing food and ensuring they each stopped for regular water breaks. Now that the aches and pains and blisters have all subsided, the three runners are already planning their next marathon. Blesma, The Limbless Veterans helps all serving and ex-Service men and women who have lost limbs, or lost the use of limbs or eyes, to rebuild their lives by providing rehabilitation activities and welfare support. The supply chain expert, Flex has been appointed as a logistics partner by Aquila Air Traffic Management Services. Aquila is a joint venture between NATS, the UK air navigation services specialist and Thales, the primary supplier of equipment and services for the UK Air Traffic Management industry. AQUILA is delivering the UK Ministry of Defence ‘Marshall Project,’ providing Air Traffic Management Services to 65 MoD airfields across the UK and overseas, including equipment upgrades to radios and radars. Flex’s role will be to provide a reverse logistics service, ensuring that any parts and equipment that need replacing can be quickly sourced and supplied. . This could range from standard electrical kit through to highly specialised aviation-based equipment. Mike Meades, General Manager of Flex UK, says: “We are an established provider of international reverse logistics services with clients including Sony, Phillips and John Lewis. With our breadth of experience in this market and in-depth knowledge, we are ideally placed to deliver a first class service to Aquila. Wing Commander Robin Stedman, Officer Commanding the School of Air Operations Control pictured receiving the sponsorship cheque from David Hawken, Service Delivery Director at Aquila. Aquila ATMS sponsor a team from the Defence College of Airspace Control in their quest to climb Mera Peak, Nepal, in November 2017. The expedition, named Shining Endeavour, has been designed to mark the merger of the School of Air Operations Control (SAOC), RAF Shawbury and the School of Aerospace Battle Management (SABM), RAF Boulmer. Staff from both schools will be taking part in the expedition which aims to create lasting bonds between the two groups as they move forward as the newly formed Air Operations Branch. The team – which will be led by Wing Commander Robin Stedman, Officer Commanding the SAOC – will engage in several training exercises across the UK before flying out to Lukla, in the heart of the Everest region, at the end of October, from where they will begin the 18-day trek. The team intend to summit Mera Peak on Armistice Day from where they will observe a 2-minute silence in one of the most testing environments on the planet. The effects of high altitude are such that the team are expecting it to take 14 days to reach the summit of Mera Peak compared to a mere 4 days for the descent. The first training trek took place in the Yorkshire Dales at the end of June with further training events planned in the run up to the expedition. Several members of the Aquila Team, led by Chief Executive David Wilson, represented the company at the recent Royal International Air Tattoo (RIAT) at RAF Fairford in Gloucestershire. The event is the biggest military air show in the World and attracts visitors, aircrew and senior military personnel from across the globe. As such, RIAT, which is organised by Royal Air Force Charitable Trust Enterprises, provides an excellent opportunity for networking and discussions with senior representatives of Air Command and industry. As in previous years, NATS and Thales shared a chalet at the show and a team from NATS provided the Air Traffic Control service for the event. Copyright © Aquila Air Traffic Management Services. All Rights Reserved.